Fall in love, break the curse.It once seemed so easy to Prince Rhen, the heir to Emberfall. 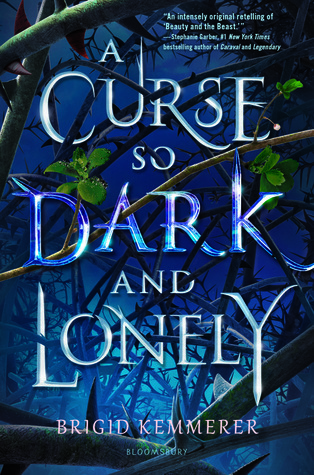 Cursed by a powerful enchantress to repeat the autumn of his eighteenth year over and over, he knew he could be saved if a girl fell for him. But that was before he learned that at the end of each autumn, he would turn into a vicious beast hell-bent on destruction. That was before he destroyed his castle, his family, and every last shred of hope.Nothing has ever been easy for Harper Lacy. With her father long gone, her mother dying, and her brother barely holding their family together while constantly underestimating her because of her cerebral palsy, she learned to be tough enough to survive. 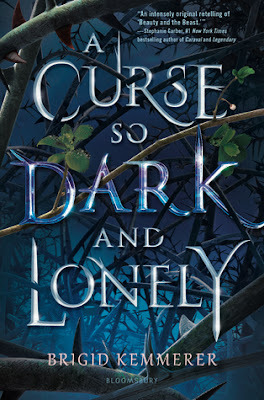 But when she tries to save someone else on the streets of Washington, DC, she's instead somehow sucked into Rhen's cursed world.Break the curse, save the kingdom.A prince? A monster? A curse? Harper doesn't know where she is or what to believe. But as she spends time with Rhen in this enchanted land, she begins to understand what's at stake. And as Rhen realizes Harper is not just another girl to charm, his hope comes flooding back. But powerful forces are standing against Emberfall . . . and it will take more than a broken curse to save Harper, Rhen, and his people from utter ruin.